The previous owner only had it 1 year and put 30,000 miles on it. Tons of swirls marks, Hologram - buffer trails, scratches, etc. It was a mess. The new owner brought it to me to see if I could "fix" it. 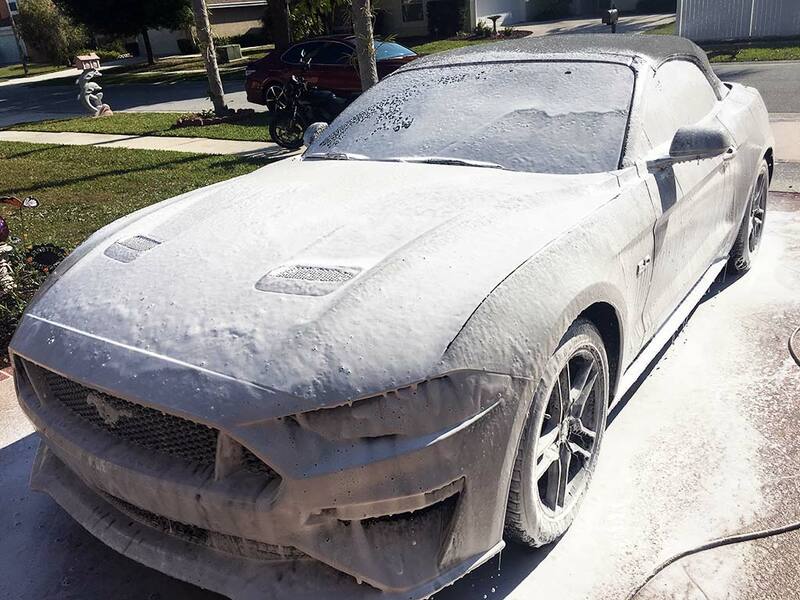 If not, he was planning on doing a complete 5-10 thousand dollar paint job. I did a small test spot on the trunk and lo and behold the paint was metallic! Recently I've been using Megs M110 and M210 for correction and polishing. 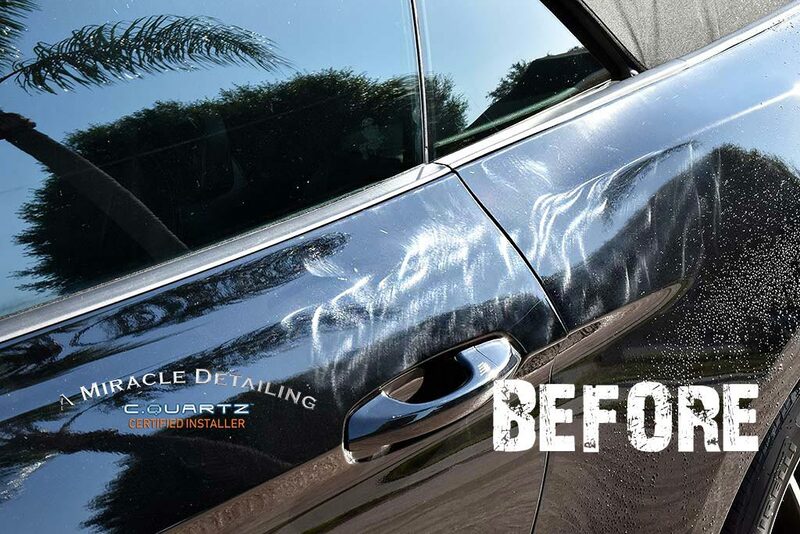 In this case, M110 with microfiber pads barely made a dent in correction. I switched to M101 and the paint now corrected easily with minimal issues. M101 did have a little dusting and left a slight micro-marring fog. M110 did not. Even then, M101 fogging easily cleared up with a quick 2-step polishing process. In short, M101 for correction and M210 with a 5" Rupes Yellow pad for polishing. I followed M210 with Scholl's S30 on a Carpro Gloss pad for a little extra brilliance. Was the S30 needed? Probably not, it was a "feel good" to achive the best results. completely masked off with a plastic drop cloth during the compounding/polishing. Ragg Topp Fabric Cleaner with a flat brush and aerosol spray protectant to seal. 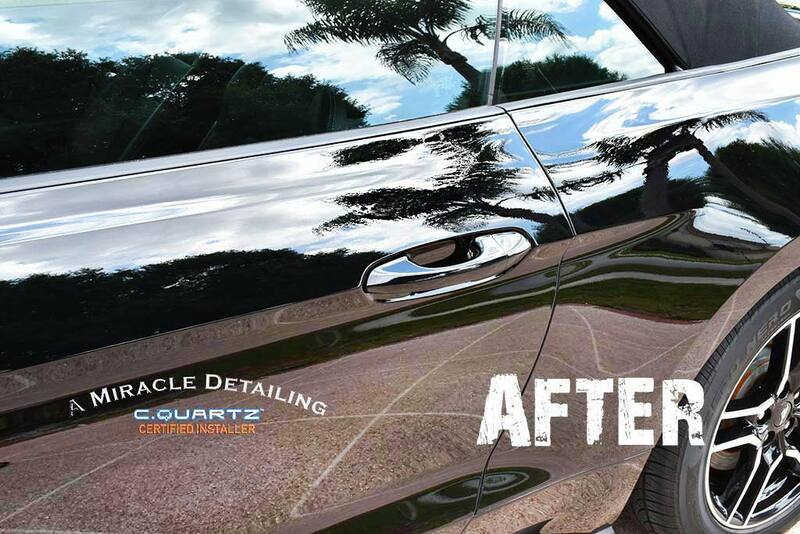 Coated with OBSSSSD Matte Tire Dressing - for a nice, clean, dark subtle look. 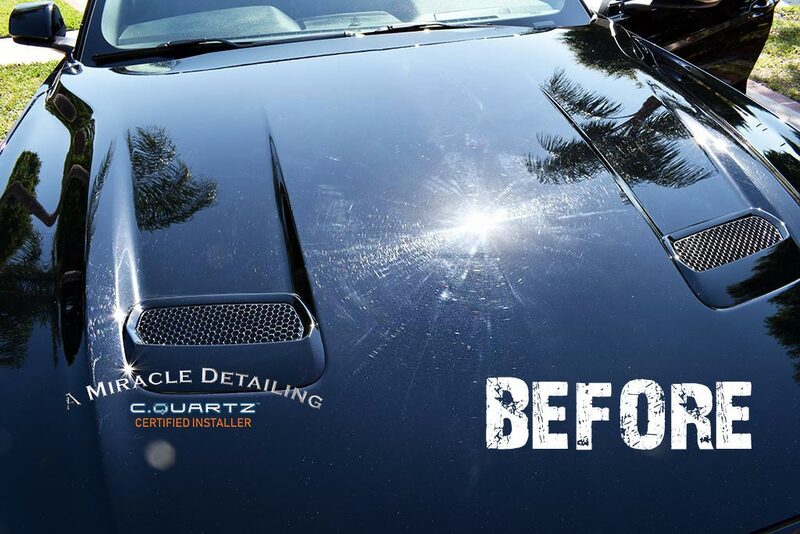 Iron-X, followed with Iron-X snow soap & wheel brushes in a Detailing Outlaws bucket. This is a favorite of mine. No greasy shine. 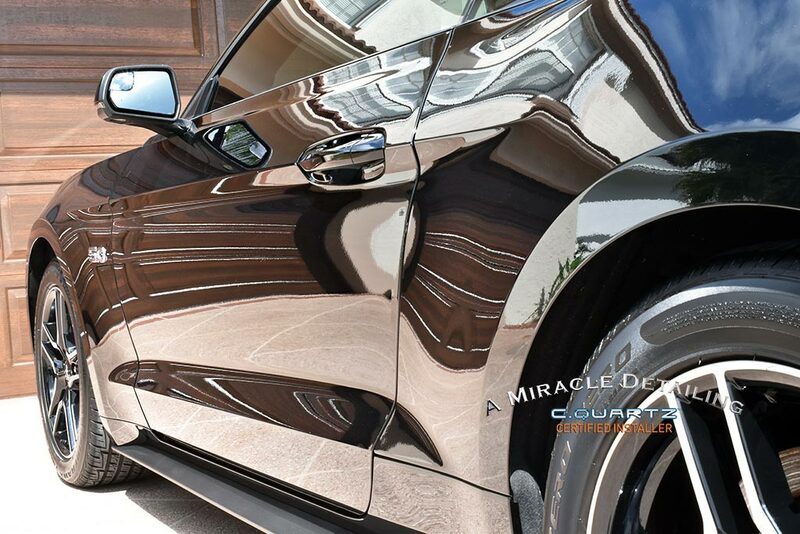 Just a factory fresh matte finish. 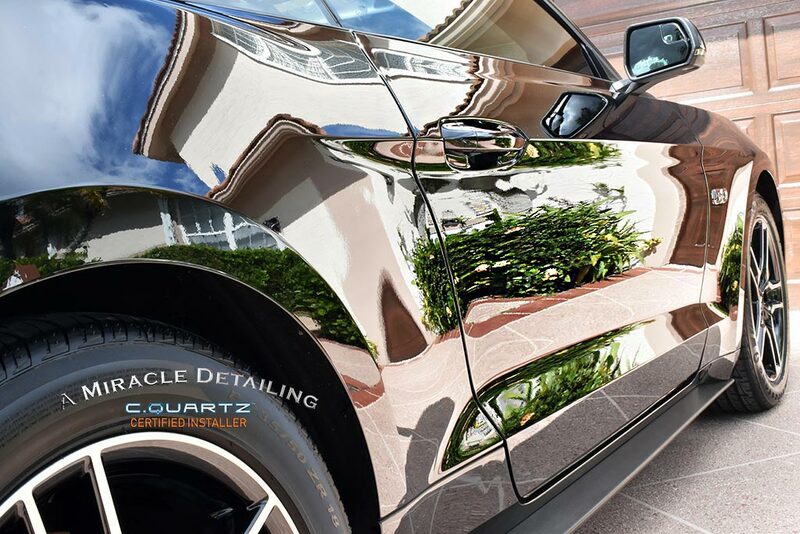 Cleaned paint with Eraser and applied two thick coats of Cquartz Professional. Please reply to this thread with any feedback. Awesome turnaround. Thanks for sharing & happy to hear our 101 & 210 could help! Are you kidding? M101 and M210 made it happen! I really like M110 and M210. They are a huge improvement over M105 and M205! I was concerned that M101 may be discontinued due to the release of M110. 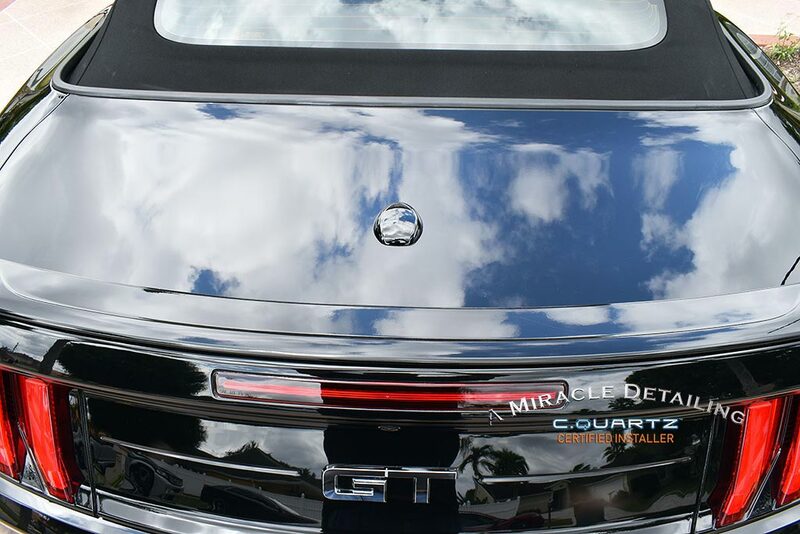 In this case, M101 made all the difference in accomplishing correction on this paint. I was happy to hear the M101 is not going to be discontinued. It is a favorite of mine. 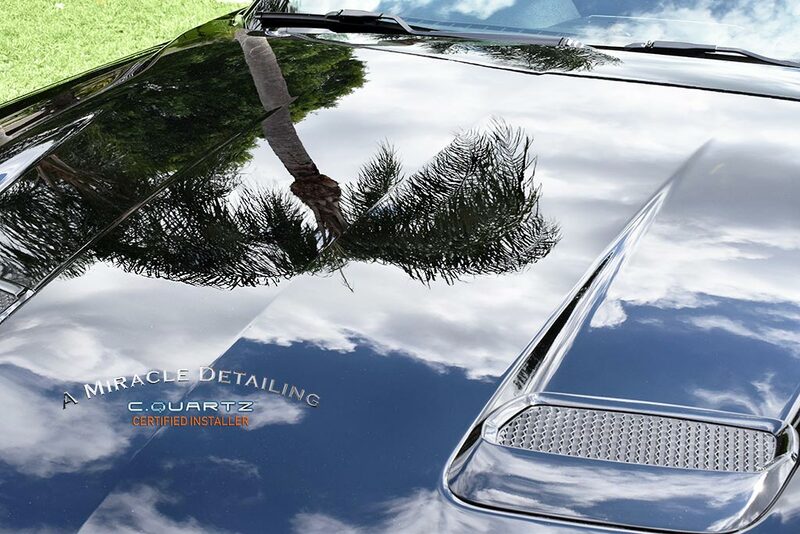 M101 is an outstanding product and a needed product in my detailing arsenal.